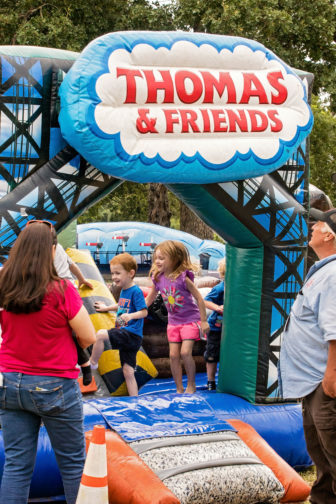 Day Out With Thomas is coming to the City of Burnet once again on The Friendship Tour 2017! 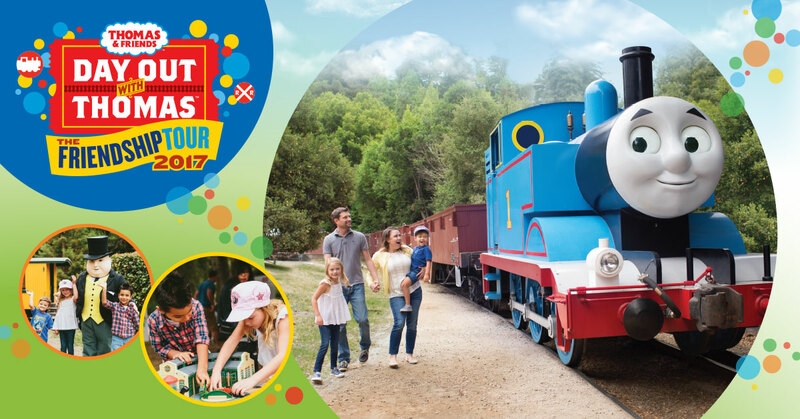 During Day Out With Thomas families can take a ride on a real train pulled by their favorite tank engine, Thomas! 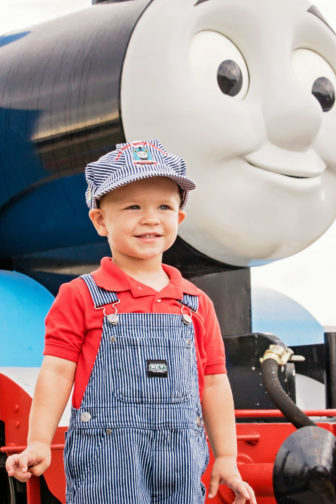 Kids can also meet the head of the railroad, Sir Topham Hatt, get creative at the Imagination Station, enjoy live music, magic shows, and so much more! All aboard! Tickets are available through Ticket Web HERE. $20 off-peak times / $24 peak times. Peak pricing is all departures from 11:00am- 3:10pm. Departures from 8:30- 10:10am and 4pm- 5:40pm are off-peak. All seats are air conditioned. On board the train passengers enjoy a 25 minute ride in one of our vintage cars, photo opportunities, music, a special Engineer Certificate, and activities lead by our car attendants. Parking is free, and is immediately adjacent to the Community Center. Food is available for purchase on-site. Trains depart the Depot from 8:30am to 5:40pm daily. The ticket booth is open 7:30am-6:00pm. Our gift shop at the Community Center is open 7:30am-7:00pm. Entertainment is from 8:00am- 6:35pm. This entry was posted in Events, Kids Fun by Melissa. Bookmark the permalink. My son Ben loves Thomas! This is awesome – we would LOVE to go! We like Thomas the best. My 3 year old loves Thomas and many others but I think Thomas is his favorite! How fun! We’ve always wanted to go to this but never made it. My kiddo loves Percy. My stepdaughter would love this event! sounds like a really great event! thank you for hosting a give away!! This looks like so much fun, I’ve been wanting to take my son to this! He is obsessed with Thomas and trains in general so I think he would have a blast. His favorite character is definitely Thomas.